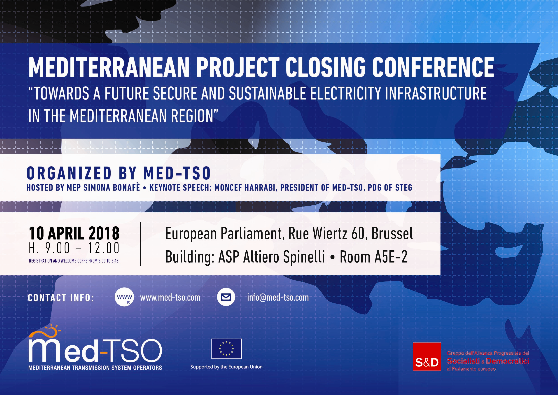 The conference presents main results and key achievements of the Mediterranean Project, a 3-year lasting project developed by Med-TSO and co-financed by the EC, aiming at the progressive harmonization and strengthening of the electricity markets in the Mediterranean Region. Med-TSO is the Association of the Mediterranean Transmission System Operators (TSOs) for electricity, operating the High Voltage Transmission Networks of 18 Mediterranean Countries. It was established on 19 April 2012 in Rome as a technical platform that, using multilateral cooperation as a strategy of regional development, could facilitate the integration of the Mediterranean Power Systems and foster Security and Socio – economic Development in the Region. In 2015, Med-TSO received a grant from the European Commission (Directorate-General for Neighbourhood and Enlargement Negotiations, DG NEAR) to implement the “Mediterranean Project”. The project promotes the creation of a regional electricity system, through the coordination of national development plans and the harmonization of rules to access the grids. This long-term objective will be pursued by the progressive strengthening of the electricity markets in the Mediterranean and the increase of cross-border electricity exchanges. 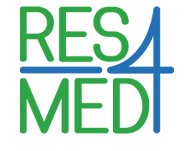 The Project aims at the progressive harmonization and strengthening of the electricity markets in the Mediterranean region, following a bottom-up approach and direct involvement of Med-TSO Members.